This Shoe Store At MG Road Is Offering A Sale On Their New Collection. Buying in bulk will probably seem like a good idea at Vicinza. This shoe and accessory store has an amazing collection, and is offering discounts on it. Oxfords, boots, sneakers, flats; this store has all your shoe needs. Their collection is trendy yet affordable. Style meets comfort with their easy going, every day collection. We’re especially eyeing their trendy boots for this season. They also do bags and accessories, if you’re hunting for some fun earrings; we suggest you visit their store. Their offers on their shoes will definitely make you want to pick up more than one pair. They’re offering 10% off on one pair, 15% off on two pairs and 20% off on three pairs. They also have a section of daily footwear priced at INR 599. 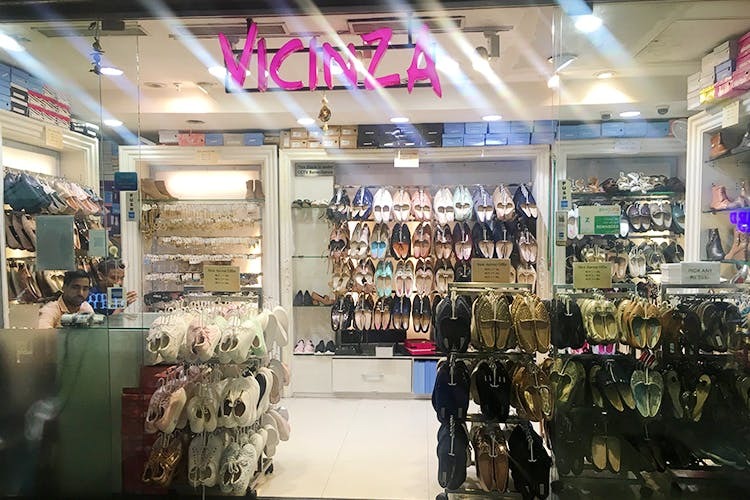 Step into Vicinza and step out with some great deals, and in some great shoes!